Functional fitness is a hot topic in the world of workouts. The concept behind the term is exercise that conditions all the muscles in the body to work in preparation for daily life. Functionality simulates and expands on common movements that occur or may occasionally arise in everyday life. Fitness boxing fits well into this idea of functional movement. No, no one is anticipating that you will be in a fistfight. Here is a look at some of the ways boxing promotes a better, faster, stronger, more efficient you. It is very fundamental for the body’s visual system to process information through the eyes and use it to direct movements of the hands. Developing hand-eye coordination through boxing can assist in balance and reaction time. It can even increase the speed and accuracy of your typing and texting. Practicing blocking or slipping punches and hitting focus mitts are two ways to work on the hand-eye coordination portion of functional fitness. 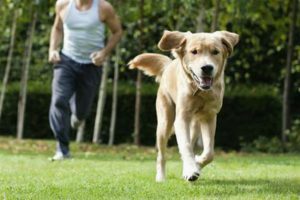 Sometimes just going up the stairs or chasing a dog down the street can mean huge spikes in heart rate. This can make it more difficult and exhausting to complete these types of tasks. 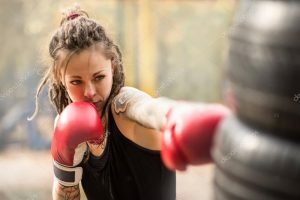 The intense cardio workout from constantly moving during boxing works the heart and it becomes more conditioned to stress, thus resting heart rate is lowered. Even simple tasks like carrying in boxes of groceries from the car to the house, or lifting kids up and down can be daunting. Boxing encourages muscle endurance, which can make holding up your end of the couch much easier. Punching repetitively and keeping your hands up consistently builds strength and endurance the carries over to the rest of your day. Yes, stress is a part of our everyday lives. Boxing training does not encourage you to punch someone when stressed but instead inspires you to react methodically. Dodging punches is stressful. Swinging back wildly is not a good option. Boxers learn to quickly relax and respond in stressful situations. This is functional fitness for the brain. Do not underestimate the application of your boxing training in daily life. The balance and athleticism you are developing have applications far beyond the ring. This is one of the reasons people of all ages have started taking boxing classes. They are using the sport to increase focus, strength, body composition and mental stimulation, thus making it easier to maintain functional fitness in daily life.